Whatever the weather, master the secrets of your footie heroes with this cool kit! With a fun indoor game to play and heaps of training tips to take outside, you’ll soon shoot to the top! 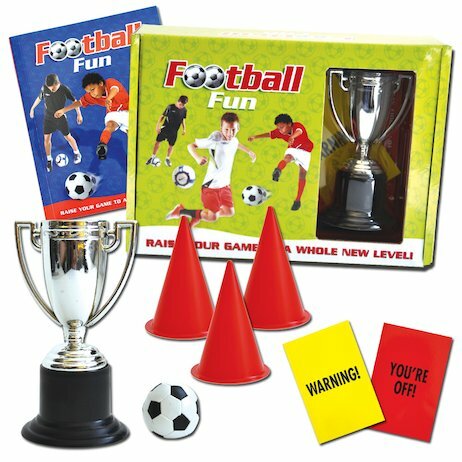 The kit comes complete with a handy skills manual, a mini football, skills cones, and those all-important red and yellow cards. So what are you waiting for? Amaze all your friends as you raise your game to a whole new level!